→Should You Use Xylitol As A Sugar Substitute? Xylitol is commonly found in many keto and sugar-free products, but not many people know what it is. As a natural low-calorie sweetener, xylitol can help enhance the flavor of your food without spiking your blood sugar levels as other sweeteners. But because it is sometimes derived from corn, you’ll want to make sure you’re buying non-GMO versions. 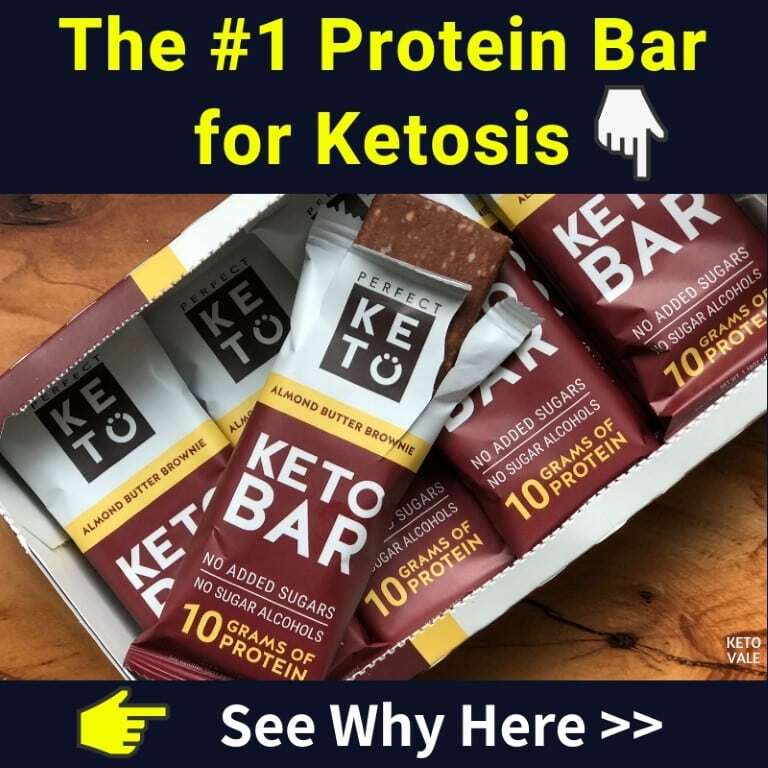 This makes it a somewhat controversial ingredient on the keto diet. Aside from providing a low-calorie alternative to sugar, xylitol has several health benefits that include preventing diabetes, cavities, and obesity. But it also has some side effects to be aware of, especially if you have digestive concerns. This guide explains everything you need to know about xylitol, including where it comes from, what it’s used for, and when to avoid using it. 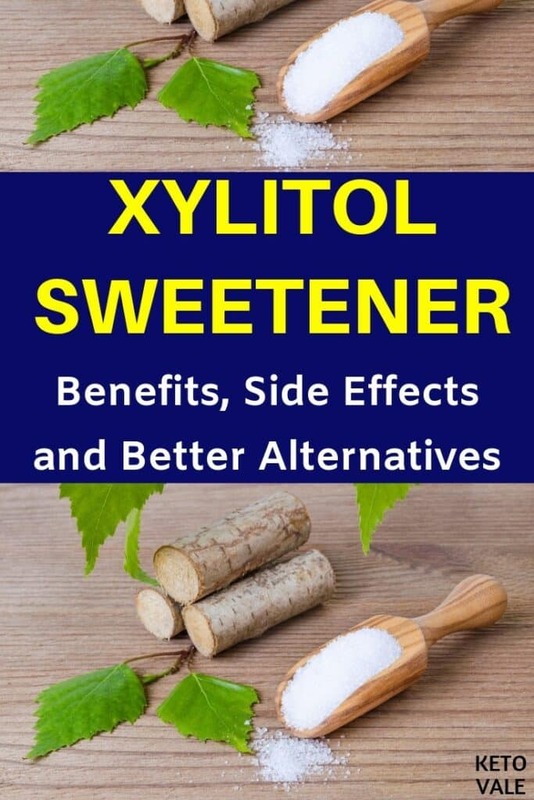 Xylitol is a sugar alcohol form of xylose, which is a naturally occurring sugar molecule that contains five carbons that has been used for the last 40 years in dental cavity prevention (1). You can find xylitol in whole foods, such as many fruits, vegetables, and berries. It can also be artificially made from plant materials that include birch and beechwood. Most importantly, xylitol looks and tastes like sugar but it contains 40% fewer calories. Currently, xylitol is accepted by the US FDA and the American Academy of Pediatric Dentistry as a natural sweetener (2). It is used in more than 35 different countries in pharmaceuticals, food products, and oral care products such as toothpaste, mouth rinse, and chewing gum. Sweeteners can be divided into two categories: nutritive and non-nutritive. Nutritive sweeteners provide energy because they contain carbohydrates. On the other hand, non-nutritive sweeteners do not contain carbohydrates. This means they are non-nutritive because they do not provide energy. Xylitol does not contain as many calories as sugar, but it still provides some. It also contains carbohydrates. This means it may still have a minimal impact on blood sugar levels. Xylitol isn’t a no-calorie sweetener like other forms of sugar alternatives like stevia and monk fruit extract. It still contains some calories, but not as many as table sugar. As you can see, xylitol gets all its calories from carbohydrates, but it has fewer calories than table sugar. Because it is a sugar alcohol, which means not all of its carbohydrate content counts as net carbs. It does not contain fructose. 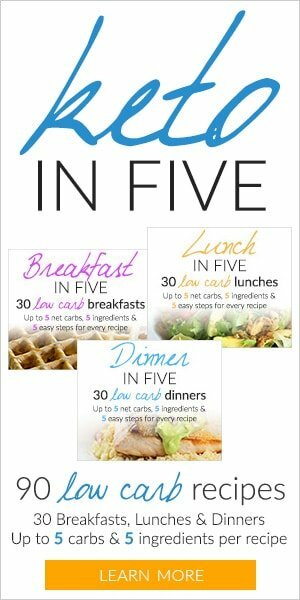 This means that it does not spike blood sugar levels as much as table sugar does, but you can still expect to see a minimal insulin spike (5, 6). Unlike stevia and monk fruit extract, which are no-calorie sweeteners that have a score of 0 on the glycemic index (GI), xylitol has a minimal glycemic response. However, it’s not as much as table sugar. Xylitol has a glycemic index of 7 whereas table sugar (sucrose) has a GI of 60 to 70. This means that xylitol is a good replacement for sugar in your favorite recipes to help control insulin and blood sugar spikes (7). Because it contains fewer calories than table sugar and has a reduced glycemic index, you can use xylitol along with a low-carb diet to help control diabetes and weight gain. Here’s what research says about the benefits of using xylitol. According to one animal study, xylitol is a better sugar substitute than sucralose when it comes to the management of diabetes. The study found that after three weeks of being fed either sucralose or xylitol, food intake was significantly lower in the xylitol group (8). Drink intake was also lower in the xylitol group. Researchers noted that rats who were fed xylitol had greater body weight reductions than the sucralose group. Fasting blood glucose also significantly decreased. Researchers also found that the xylitol group had better glucose tolerance and more significant reductions in triglyceride levels as well as total cholesterol and LDL cholesterol. Another study found that xylitol was more effective at treating diabetes than other alcoholic sugars, such as sorbitol, mannitol, erythritol, maltitol, and lactitol (9). Researchers believe that this is because of xylitol’s unique properties and ability to be used in a wide variety of applications. Research shows that excessive amounts of refined sugar and carbohydrates contribute to obesity (10). Using xylitol in the place of refined sugar can help prevent and reduce obesity by lowering inflammation and reducing the overall amount of calories you consume in a day. Additionally, xylitol does not spike insulin levels as much as table sugar does. Diabetes and obesity are closely related. This is because insulin can be viewed as a fat-storing hormone that is released from the pancreas to distribute glucose to your cells. Overeating sugar leads to an overproduction of insulin. When you have more glucose in your blood then your body requires for energy, insulin sends this excess sugar to be stored as fat. On the other hand, xylitol requires less insulin because it has a lower glycemic index. This means that when you eat it, your blood sugars don’t increase as much as they would if you were to eat sugar. It also requires less insulin production, which leads to less fat accumulation. According to one study, xylitol only causes a small blood glucose rise and can be used as an alternative to sugar in diabetics (11). Researchers also found that rats who were fed a high-fat diet reduced their visceral fat mass and lipid concentrations after being fed xylitol for eight weeks. Researchers concluded that the intake of xylitol may be able to prevent the development of obesity and other metabolic abnormalities. Another study confirmed these findings when it discovered that mice who were fed xylitol for 28 days significantly lower their body weight compared to other groups. The group of mice that ingested xylitol also had the lowest total cholesterol and blood glucose levels (12). This data shows that xylitol can help reduce body weight, manage blood sugar, and help lower cholesterol by increasing HDL cholesterol levels. According to the above-mentioned study, mice who were fed xylitol had the highest levels of HDL cholesterol (13). HDL is considered “good” cholesterol that helps lower your overall cholesterol levels by reducing LDL or “bad” cholesterol. It works by clearing your arteries of LDL cholesterol (14, 15). LDL cholesterol is the type of cholesterol that accumulates in your arteries as plaques and contributes to heart disease. The high level of HDL cholesterol can lower your risk for stroke and heart disease (16, 17, 18). Collagen is a type of protein that is found in your connective tissue. It contributes to skin health by promoting elasticity and reducing the appearance of wrinkles. Research shows that xylitol can help enhance collagen synthesis. According to one study, rats who were fed xylitol increased their synthesized collagen to help promote skin health (19). This data suggests that xylitol can help give you better-looking skin, hair, and nails by enhancing the synthesis of collagen in your body. One of the most proven benefits of xylitol is its ability to promote oral health and prevent dental cavities. This is why you’ll find it in so many oral health products, such as toothpaste, chewing gum, and mouthwash (20, 21). 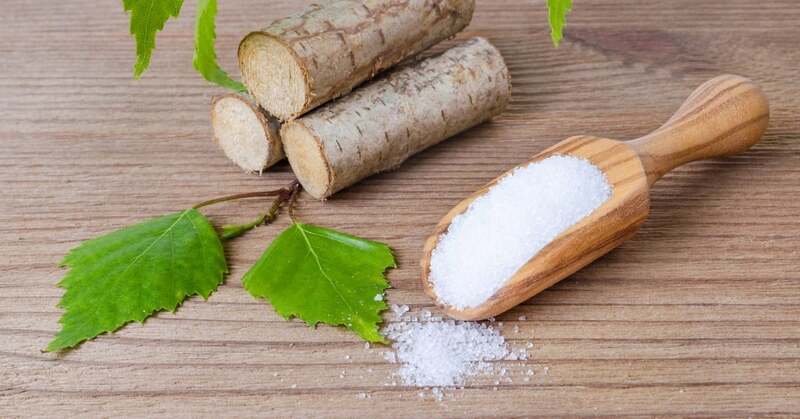 According to one study, xylitol reduces the amount of mutans streptococci in plaque and saliva by inhibiting their energy production methods (22). This helps reduce the adhesion of these microorganisms to the surface of your teeth, which decreases their ability to produce acid and cause cavities. One of the primary ways in which xylitol helps keep your mouth healthy is by inhibiting the growth of bacteria. However, research shows that xylitol’s bacteria-inhibiting potentials do not stop in the mouth. One study found that vital alcohol can help impact the growth of bacteria that leads to nasopharyngeal pneumonia, which occurs when the bacteria in the back of your nose leads to pneumonia (23, 24). This data suggests that xylitol can help prevent the growth of bacteria that leads to certain infections in the human body. As with any sugar alternative or substitute, it’s best to start slowly when adding xylitol to your diet. Some research shows that xylitol consumption may lead to digestive problems. If you have a gastrointestinal disease or other digestive problems, then you may want to limit your intake of xylitol until you know how it affects you. Studies show that habitual xylitol consumption can be defined as consuming five to seven grams at least three times a day. The recommended intake to prevent dental cavities is 6 to 10 grams per day. Most adults can tolerate around 40 grams of xylitol per day, according to research (25). Research shows that when consumed in high doses of at least 45 grams per day in children and 100 grams per day in adults, xylitol can cause diarrhea. Other symptoms may include intestinal bloating, gas, and pain or inflammation. Warning: Xylitol Has Been Known To Be Toxic To Dogs! Even though Xylitol is safe for human use, it is, however, very toxic to dogs and can cause life-threatening conditions including seizures, low blood sugar, liver failure and even death (26). Although xylitol has a much lower glycemic index than table sugar, it can still minimally impact your blood sugar response. Because of this, many people search for alternative sugar substitutes that do not negatively impact your insulin levels. Monk fruit extract and stevia are no-calorie sweeteners that are naturally derived from plants. They are easy to digest and have a glycemic index of 0, which means that they do not spike your blood sugar levels. These sweeteners pass through your digestive system undigested, which means that they are not absorbed into your bloodstream and do not spike in insulin response. Additionally, monk fruit extract and stevia are not derived from GMO corn. This makes them easier to digest than xylitol because they do not provoke an inflammatory response. If you have a hard time just ingesting xylitol or you prefer a sweetener that has no impact on your blood sugar levels, then you may want to try other sugar sweeteners such as stevia and monk fruit extract. 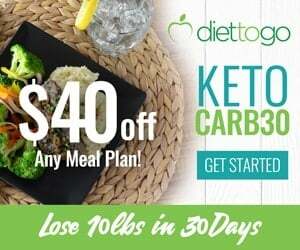 Can You Use Xylitol On A Keto Diet? You may notice that xylitol is commonly found in many sugar-free or low carb products. It is sold at the grocery store and can be used in your fat bomb recipes or in any recipe that requires a sugar sweetener. Some people might use xylitol in moderation on their ketogenic plan because it has a low glycemic index and does not spike sugar levels as much as table sugar. However, keep in mind that xylitol still has a minimal impact on blood sugar, but it is much less than that of regular sugar. 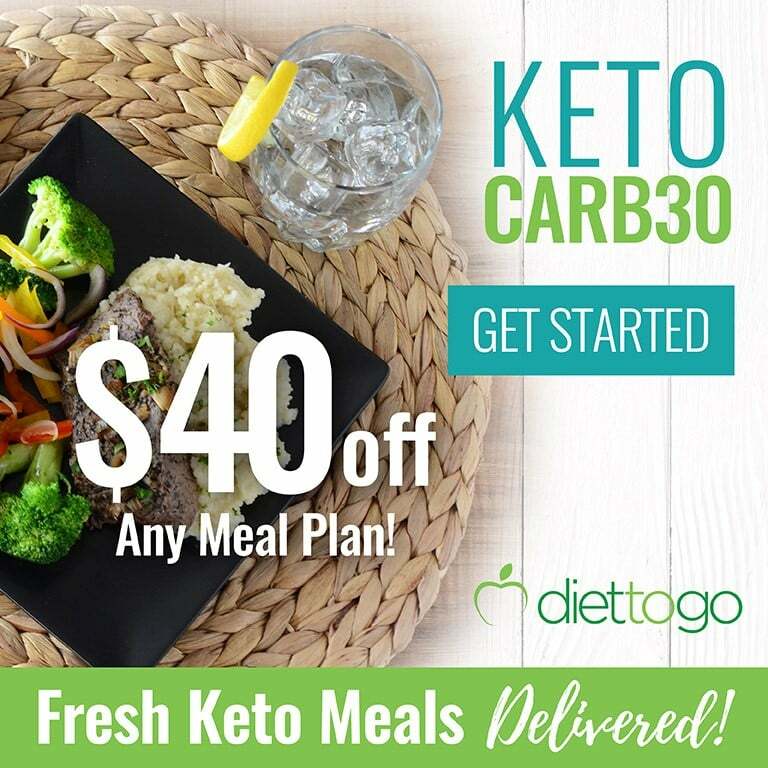 It still has carbs so it’s not the best choice for keto. Because of this, you may wish to use other sweeteners or limit your intake of xylitol on the ketogenic diet so that you don’t accidentally kick yourself out of ketosis. What Are Other Better Sugar Alternatives for The Keto Diet? 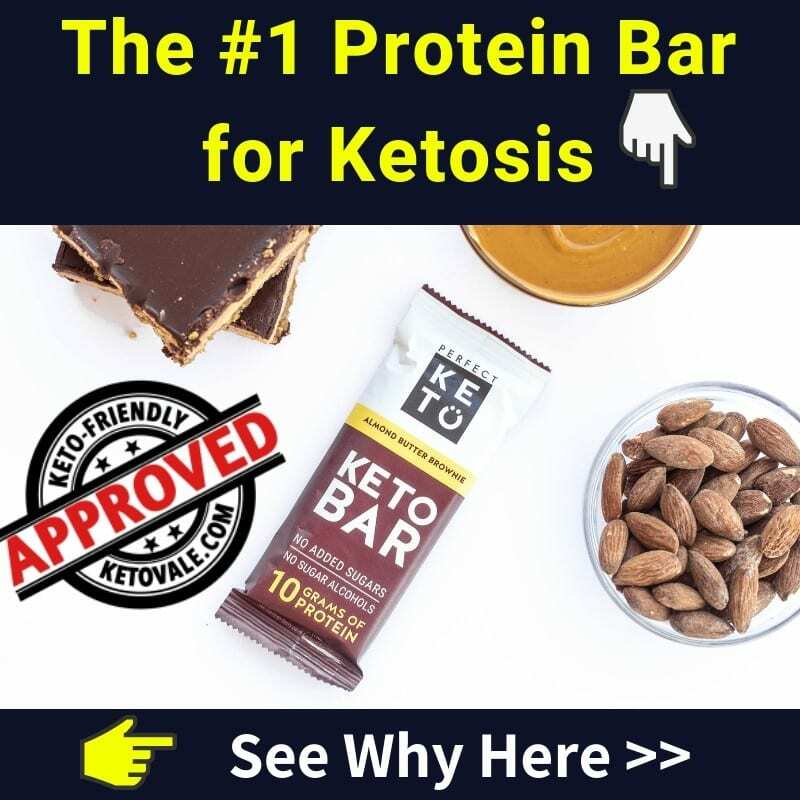 When it comes to what to eat on keto diet, the top 3 keto-friendly sugar substitutes are erythritol, stevia and monk fruit. 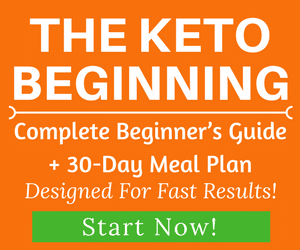 You can learn more about keto-sweeteners in this article! Xylitol is a low-calorie sugar substitute that can be used in place of table sugar in your diet to help control your calorie and carbohydrate intake. Xylitol contains approximately 40% fewer calories than table sugar. This means that it is not considered a no-calorie sweetener like stevia or monk fruit extract. Research shows that xylitol has several health benefits, including the prevention of diabetes and obesity, and benefits for dental health. It contributes to collagen synthesis and helps inhibit the growth of bacteria. You can use xylitol to help reduce your intake of carbs and calories. Keep in mind that although xylitol has a lower glycemic index than table sugar, it still has a minimal impact on insulin. This means that it will still cause of blood sugar response, but not as much as regular table sugar would. Use it in your baked good recipes, add it to homemade ice cream, or use it in the form of chewing gum to help prevent cavities.